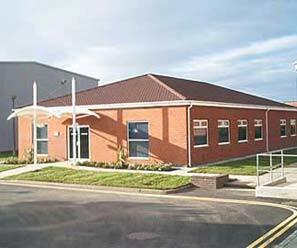 A relocatable building is ideal for certain industries including schools. With such impressive options available on the market at the moment, semi-permanent buildings for schools can be both aesthetically pleasing as well as extremely functional. Today's semi-permanent buildings, whether for schools or any other use don't have to be set apart from more permanent structures because materials and planning today is far different to perhaps a decade ago when fabricated buildings may have been fairly basic. There are an array of options with semi-permanent, or temporary, buildings and they can often include eco friendly options too. In terms of quality and appearance, they are rarely distinguished from a fixed and permanent building. If you are looking for a functional space that will be in operation for just a couple of months through to a longer term 20 years, Modular Direct are able to help. With bespoke options that suit your landscape, surrounding buildings, and your usage requirements please contact the support team today using the contact form on the website.